Lack of assistance from the Iran government towards the national football team has long been an issue over the years. 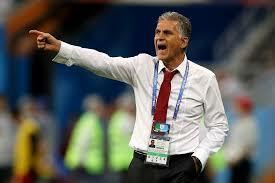 But in an interview Queiroz gave for local television in the aftermath of Iran’s Asian Cup semi-final defeat to Japan, which extended their Asian Cup title drought to 43 years, he laid bare the extent of the problem. “If it was not for the Qatar Football Association, we would have nothing,” said Quiroz who stepped down after eight years in what was his 100th match in charge.